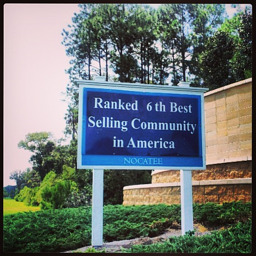 "Nocatee Among Fastest-Growing Communities in the Nation!" New home sales in Nocatee for the first half of 2013 are up a whopping 72 percent over 2012, making it the 6th best-selling master-planned community in the nation—up from its number 10 spot in 2012. The rankings are published in real estate advisory firm RCLCO’s Mid-Year 2013 Update, a survey of total home sales in the first half of 2013 at the nation’s top-selling master-planned communities. 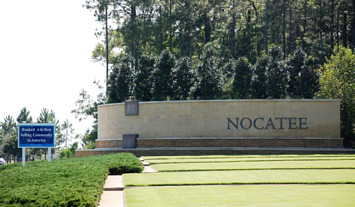 “The lifestyle makes Nocatee the clear choice for new home buyers in Northeast Florida” said Rick Ray, President and CEO of The PARC Group, Nocatee’s master developer. “We are continuing to invest in amenities and recreation, but the resident activities, ideal location and sense of community makes Nocatee a special place”. Last year 508 homes were built in Nocatee, and growth is on pace this year for more than 800 new homes. Five communities have added additional phases, and a new community, Brookwood, has recently opened. In 2014, seven new neighborhoods will open. All new-home builders are constructing speculative homes in addition to their models, while still working hard to keep up with demand. RCLCO’s report, “The Top-Selling Master-Planned Communities Mid-Year 2013 Update,” can be viewed here: http://www.rclco.com/pub/doc/advisory-midyear-mpc-2013-08-21.pdf.